Danica Pavolva locates old folktales for work but, she spends her nights trying to forget her life isn't a fairy tale. Ten years ago, she ran away from her boyfriend after causing his accident. She was determined that Adam King was better off without her. However, when her older brother is diagnosed with leukemia, she decides it is time to return home. 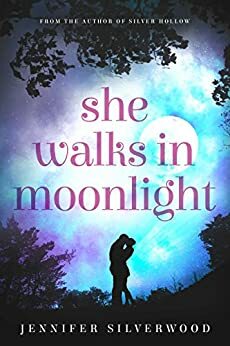 She tries to put the past behind her but, she can't help feeling a connection with Adam. Will Danica and Adam be able to put the past behind them? I enjoyed the novel but, I had a hard time liking Danica. She is upset when people think of her a certain way but, she continues to act that way. I felt like she was a coward when she ran away and she wanted forgiveness without trying to make amends. Most of the characters acted like selfish children, especially when they didn't get their way. I would have liked if the author included a bit more context around Adam's accident. Overall, the novel had a nice story line but, I didn't care much for the lead characters. 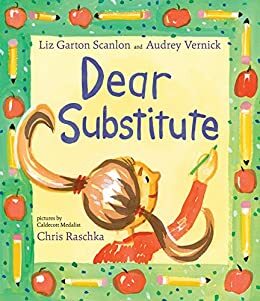 When their teacher Mrs. Giordano is sick and a new substitute teacher, Miss Pelly takes over, things are bound to go wrong. A student writes in an epistolary poems format, explaining why Miss Pelly is doing things wrong and how she misses her teacher. I read this cute picture book to the tots I volunteered with. They thought the book was funny. However, I am not sure they grasped the entire message of the book until we discussed the book. The book had an interesting way to encourage children to try new experiences because they might enjoy it. A good book especially for children who are nervous in trying new things. Audrey grew up in Whitestone, New York, where she lived with her parents and two sisters and a not very bright small white dog. She has a freaky memory about the names of the kids in her class at P.S. 184Q, and even remembers where most of them stood in size order. She always loved to read and still rereads Harriet the Spy on a regular basis. She was not one of those children who always knew she wanted to be a writer; she didn't love to write until college. She's been writing ever since. In addition to writing for children, Audrey has published more than a dozen short stories for adults in magazines and literary journals. She received an mfa from Sarah Lawrence College and has been honored with two fiction fellowships from the New Jersey State Council of the Arts. Audrey divides her time between writing (which is mostly spent revising) and visiting elementary schools to talk about writing and publishing. (For school visit info, click here.) She also speaks at conferences around the country. She lives near the ocean in New Jersey with her family and a semi-smart medium-sized dog. Liz Garton Scanlon is the author of numerous beloved books for young people, including the highly-acclaimed, Caldecott-honored picture book All the World, illustrated by Marla Frazee, and her debut novel for middle grade readers, The Great Good Summer, as well as The Good-Pie Party; Happy Birthday, Bunny! ; Noodle & Lou, and several others. Ms. Scanlon is also a poet, a teacher and a frequent & popular presenter at schools, libraries and conferences. She grew up in Colorado and Wisconsin, and now lives with her husband and two daughters in Austin, Texas. 3 winners will receive a finished copy of DEAR SUBSTITUTE, US Only. When Sam London discovered that mythical creatures are real, he was recruited to be a part of the Department of Mythical Wildlife. The middle schooler is anxiously awaiting his next case. However, when a selkie arrives and makes a brazen appearance, Sam and his team will have to help figure out why the selkie is breaking protocol. As Sam dwells deeper into the case, he realizes the selkie has a peculiar interest in fashion's newest ingenue, Pearl Eklund. What is the selkie's interest in Pearl? Will Sam and his team be able to get to the bottom of this? The book was a fun and exciting read. I love the bits of humor but also when they explained interesting facts about the mythical creatures. The novel is fast-paced and keeps delivering action. Overall, the perfect book for anyone who has a special interest in mythical creatures. In the thrilling sequel to Guardians of the Gryphon's Claw, an epic adventure novel that "is sure to keep lovers of Rick Riordan running to the shelves," Sam London dives headlong into his second case involving a selkie, a mysterious girl, and an ominous new threat to the mythical and human worlds ( School Library Journal )! Todd Calgi Gallicano is the author of “Guardians of the Gryphon’s Claw,” the first case in the Sam London Adventure series from the Files of the Department of Mythical Wildlife. A graduate of New York University’s School of Film and Television, Todd began his career in the film industry, before venturing into the world of books when he was provided secret files from the Department of Mythical Wildlife's archives. Despite pressure from the news media and government, Mr. Gallicano remains tightlipped when it comes to questions about the DMW and his sources within the secret organization. He encourages fans of Sam London to learn more about mythical creatures and to visit and support our nation's majestic National Parks. 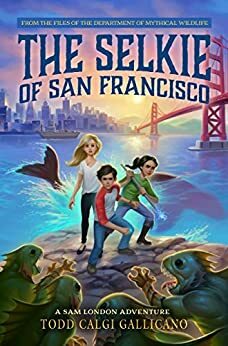 3 winners will receive a finished copy of THE SELKIE OF SAN FRANCISCO, US Only.